Ibrox Noise: Could Steven Gerrard make wise move for Liverpool chief? Could Steven Gerrard make wise move for Liverpool chief? MBE Gary McAllister is Gerrard's assistant manager at Ibrox and this is a shrewd move as he is Scottish, and also an ex-manager with a wealth of top class experience. Together they are determined to end the Celtic stranglehold of Scottish football, and so far they are heading in the right direction with their exciting playing targets. Real Madrid took the same gamble with former world class midfielder Zinedine Zidane, who has recently backed Steven Gerrard’s move to Rangers to be another success story like his own. The French legend insists Stevie’s top-level playing career will make up for any lack of his managerial experience. Zidane jumped in at the deep end when he succeeded Rafa Benitez at the Bernabeu and was happy to accept a job that was seen as a poisoned chalice, not unlike Stevie’s Rangers job. When McAllister sat down with Gerrard to discuss following him to Rangers, he could see the hunger in his eyes to succeed. Gary knows they will learn together as they grow, but there isn’t anything you can teach Gerrard about football and that convinced him he was doing the right thing joining the ‘Gers. The former Scotland skipper will be a massive benefit to our rookie manager and is someone Gerrard knows and trusts explicitly, which is so important in this job! Will he be tempted to retain the services of wily old fox, Jimmy Nicholl, a real light blues fan or will he want a full first team coaching sweep? Rumour has it that Gerrard would love to bring Michael Beale to Rangers because he is one of the best Liverpool youth coaches money could buy. 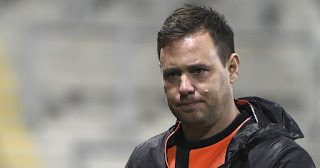 Beale left the Reds for Sao Paulo, Brazil to become Rogerio Ceni’s assistant manager, when becoming good friends after meeting in Liverpool at an England Coaching Project. was talked back to Merseyside as head of coaching for the foundation phase. Beale was interviewed by League One’s Oxford United for their managerial position, but he felt it wasn’t the right move for him and decided to remain at Liverpool. It may be possible to promote Beale to become Rangers first team coach and follow Stevie to Scotland in a smart move, which would benefit the light blues in the long-term. Gerrard knows that we need six or more top notch experienced professionals to enhance our first team squad. We also require highly driven young quality players, with loads of ability, that are totally dedicated to succeed. This is why Beale would be an important cog in the wheel. No wonder all the Rangers fans are really excited by the way things are going down Ibrox way! Get The Man a Flight to Glasgow! Seems like a good acquisition but success for the first team is of paramount importance. If paying this guy is going to hamper that in any way I'd rather wait and pour every resource into stopping this 10 in a row.I get the long term bit but you know. I thought it was £6 million SG got? so why waste money on any one else other than players we do need the ones that SG brings in now to be players.